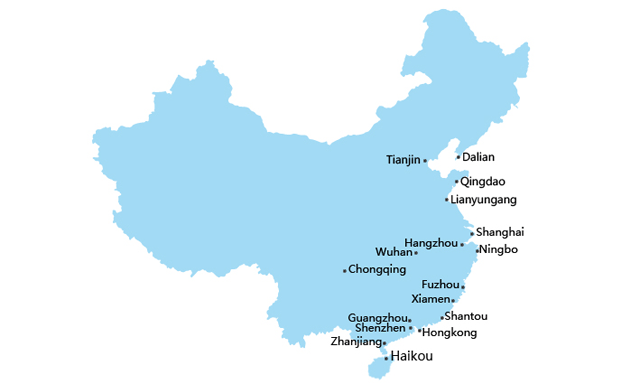 As a shipping company both local and global, our job is providing china freight forwarding services for international delivery. We are always trying to provide you a quick and clear amount, when you are requesting a cargo ship quote from us. But in fact, the process behind the scenes is more complicated than the total price you got seem to be. How to calculate shipping rates? Why the rates change so often? Cargo ship rates are normally provided in the form of a freight quotation, and the format of these quotations can vary from freight forwarder to freight forwarder and shipping company to shipping company. Whilst new surcharges seem to be introduced daily, your freight price will most likely be made up of the below tariff rates & surcharge items. Here’s a rundown below. The term is pretty self explanatory. It’s the base rate for ocean freight. 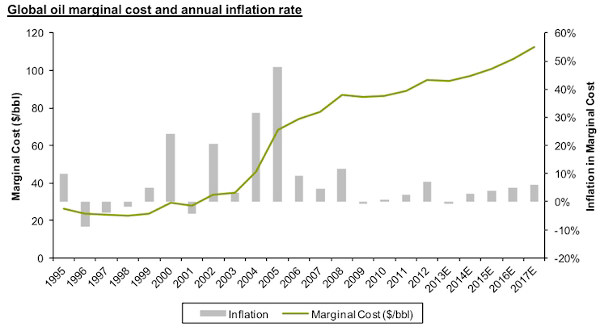 2.1 Associated with vessel fuel cost. 2.3 Different carrier and different route with different standards. Associated with fluctuations in exchange rates. For exceeding certain weight. 20ft containers exceeding the weight of 14,000 kg (or 18,000 kg, or 22,000 kg). This concerns 20ft only. Associated with extraordinary vessel fuel cost. Almost same as BAF, applied to Japan, the Persian Gulf, the Red Sea, and South America. Associated with losses caused by congestion and idle time for vessels serving that port. Associated with incremental operational costs incurred during the peak season. Only associated to Japan Line. There may be additional charges depending on where you are shipping to, but the above are the core freight cost components when shipping from China. Different route means different calculation method. Please find the tables below, also please note it’s for reference only (subject to change). Charged by the carrier for the handling of containers at the container terminal before being loaded onboard a vessel, including the unloading of the container from a truck, stacking and transport from the stacking location to just below the crane near the shore. Admin charge for required shipping documentation. May apply for a bill of lading or container. Period of container can be divided into Demurrage and Detention. Normally 7 days free for both of them. Then Demurrage penalties imposed for excess use of container from its unloading at the terminal until the time of export from the terminal. Detention penalties imposed for excess usage container since its removal from the terminal until the return of empty containers at the port. It is calculated from the moment of unloading at the terminal until the time of export from the terminal and is increasing the scale. Commonly 5-7 days for free of charge, longer the carrier is in port, the more expensive each day of storage. This rate for work on putting the container on the ground clearance (Customs, health, etc.). The above guide has been written from the point of view of exporting from China and under the CFR incoterm. This means that consignments are usually shipped from Port to Port and charges not included in the prepaid freight amounts will be for the account of the buyer/consignee i.e. destination THC, destination documentation, destination customs clearance and any delivery to the consignees door. Shipping rates calculation is complicated, especially there are special rules applied to different routes. That’s why we provide all in rates, meaning that the cost of transportation includes all the additional fees and surcharges provided for under the conditions of carriage. You may find tools online for calculating such cost. But as far as we know, the results are not so accurate. So if you are looking for a freight quote for your cargo from China, don’t hesitate to visit our quote form and submit your request. It’s free, quick, and accurate. Why shipping rates change so often? The cost vary from each week or two weeks. There’s a list showing why this happens. 1. Fixed costs of bunker fuel factor. The biggest cost item for the carrier companies is fuel, either the ocean carriers or the airline carriers. There is a constant volatility in oil prices, they are affected by these increases and therefore reflect them onto their freight prices. This is a floating surcharge that the Carrier’s can change when oil prices rise or fall. It is called BAF as we mentioned above. Shipping cycle starts with a shortage of ships and increase in the freight rates. This leads to excessive order of the ships and the airplanes. The delivery of new ships and new airplanes lead to more supply in the shipping capacity. If they are not invested in, but the trade grows there will be a shortage of ships and therefore lost profits. If they are invested in but the trade does not grow, this will complicate the market more and pull the prices down. The shipping cycle is a mechanism to coordinate supply and demand, and has a total of 4 stages which are trough, recovery, peak and collapse. 3. Nature of pursuing profit. As all businesses, shipping line carriers and airline carriers have to make profit in order to continue their existence. Therefore, whenever there is an opportunity, the market will attempt to implement increases in the rate. From December through April for imports from China, it is traditionally called the “slow season.” Because the retail market slows down after Christmas. From mid January through early February there is an upsurge of cargo moving to beat the Chinese New Year deadline whereby factories all over China shut down for weeks. This usually keeps rates high as there are always space problems for cargo getting on vessels. From May through November this would be the “peak season” where there is a big demand for cargo exporting, so the carriers raise the rates during this period, with the GRI (general rate increase), and PSS (peak season surcharge). If you are a small to medium sized importer and do not have a logistics team, you may find yourself wasting time trying to keep up with the rates shipping from China instead of promoting your goods to your customers. Because the amount is dependent on many factors including origin, destination, volume, time of year, plus many other variables. Unless you have a contract with the carrier or are moving significant volume, you will usually get a more favorable deal from a freight forwarder, who will likely have access (directly or indirectly) to a discounted rate based on certain volume agreements. Just keep in close touch with your freight forwarder. A good forwarding service can save you untold time and potential headaches while providing reliable transportation of products at competitive rates.